This quilt has been a long time coming. With all the quilting I've done over the years, I've only ever made one quilt for my own bed...and that was one I started around 8th grade and finished around 10th grade. 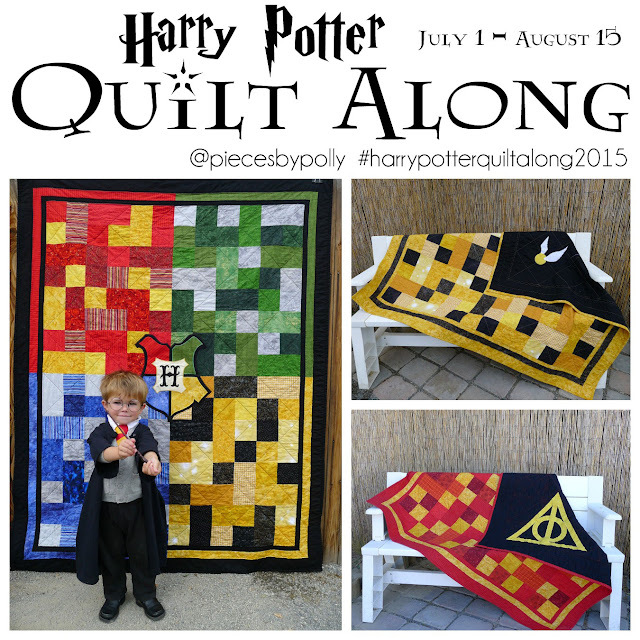 It was time for something more updated and more reflective of my current leanings toward modern quilting. 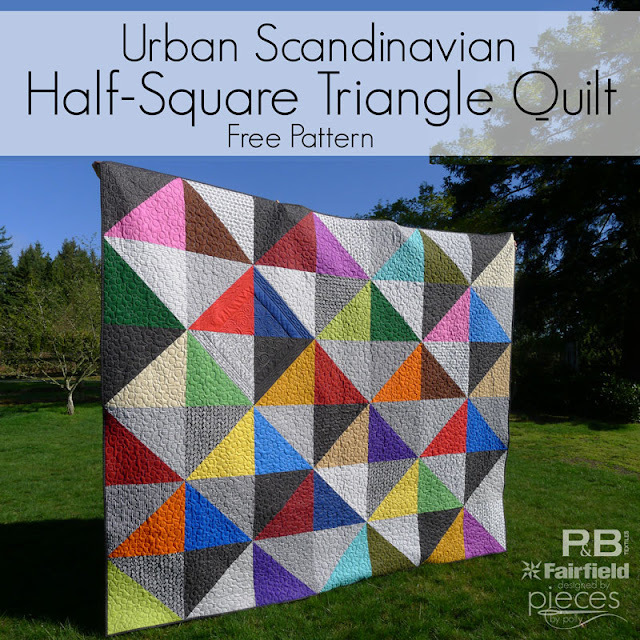 When P and B Textiles offered to send me some of their new Urban Scandinavian line by Kirstyn Cogan, I knew it belonged in a quilt for my bed. I really love a good black and white fabric line, and these are gorgeous. The were kind enough to to send enough queen/king size. They also sent 1 fat quarter bundle of their original Color Weave collection to use for the pops of color in the quilt. Many thanks also to Fairfield World for providing the batting and compensating me for this post. This pattern was designed using EQ7. All opinions are 100% my own. The full pattern and fabric requirements for the Urban Scandinavian Half-Square Triangle Quilt can be found on the Fairfield Site here. 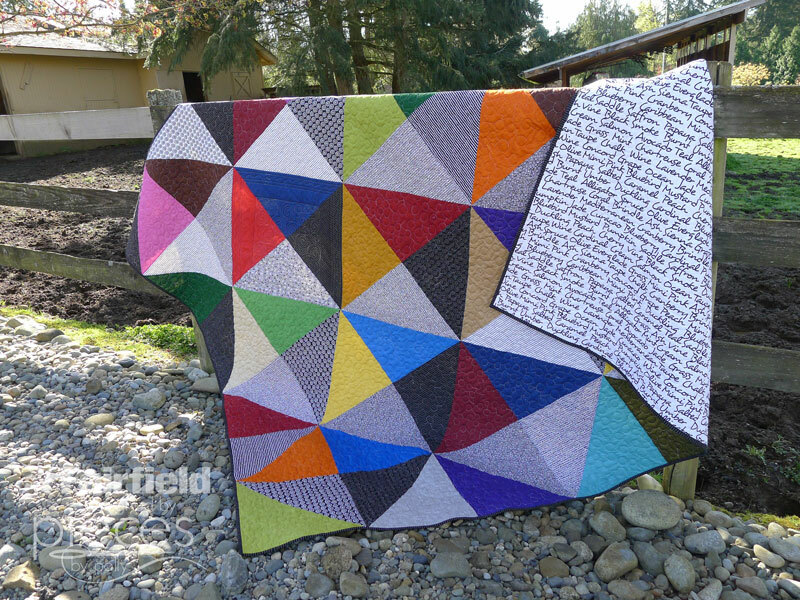 I just wanted to share a few extra photos and more of my thoughts behind the quilt here on my blog. I've recently been learning more about the quilting side of things at my local modern quilt guild meetings, and how different battings create different looks. 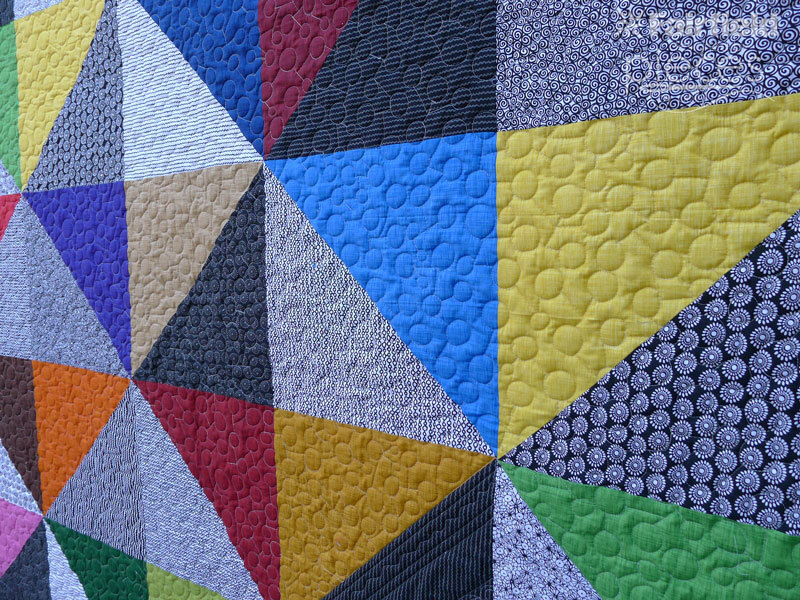 So for this quilt, I went with an 80/20 Cotton/Poly batting as a base and then added Nature-Fil™ wool batting over the top. This gives it the drape of a cotton batting quilt, but the wool makes the quilting lines show a bit more. A polyester Poly-Fil batting can also be used in place of the wool. 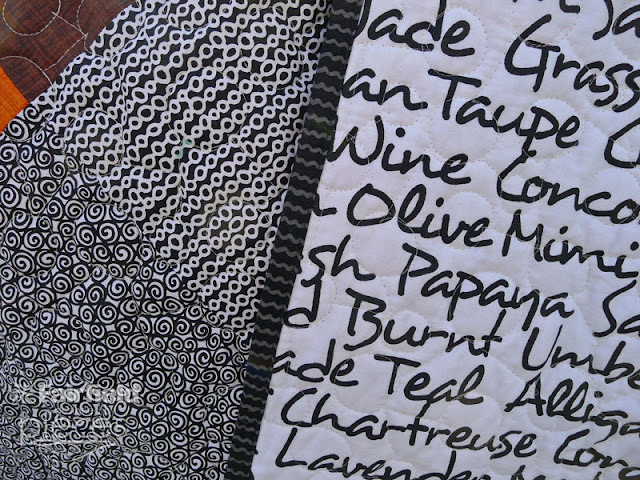 And I love this fabric I found for the backing...I just love that it's black and white and the names of colors all over it. And I think the Urban Scandinavian fabric with the grey squiggles on black is my new favorite binding fabric. I love binding quilts in black but sometimes it's too harsh...those grey squiggles are the perfect visual texture so that the black binding isn't too glaring. And just because I had so much fun learning how to use EQ7. 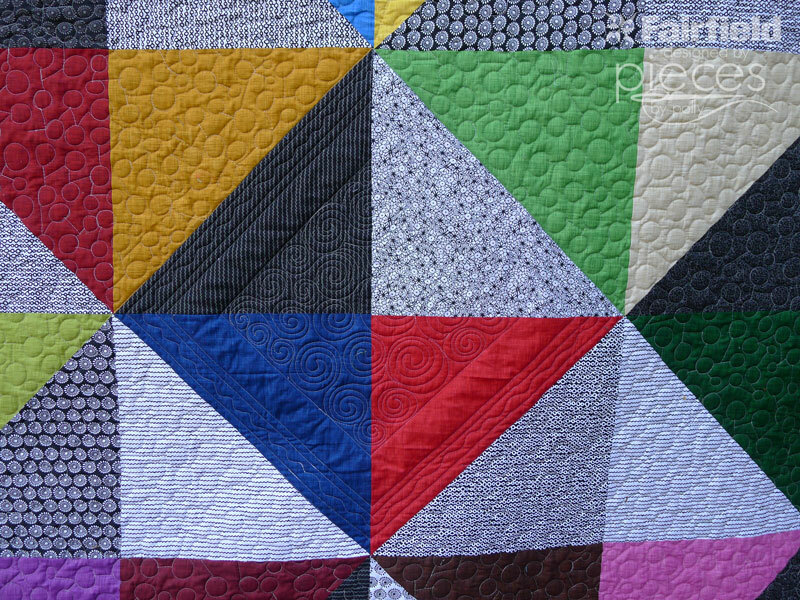 (Electric Quilt 7) for designing the pattern, I also worked up an alternative quilt with some of my most favorite fabrics from the fabric line. 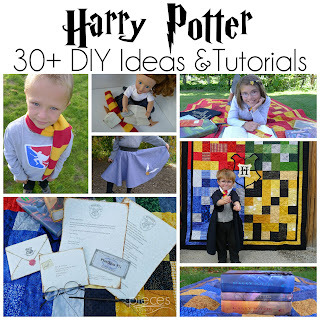 You would need to cut 6 - 17" Squares from each your fabrics (This will give you four extra squares.) 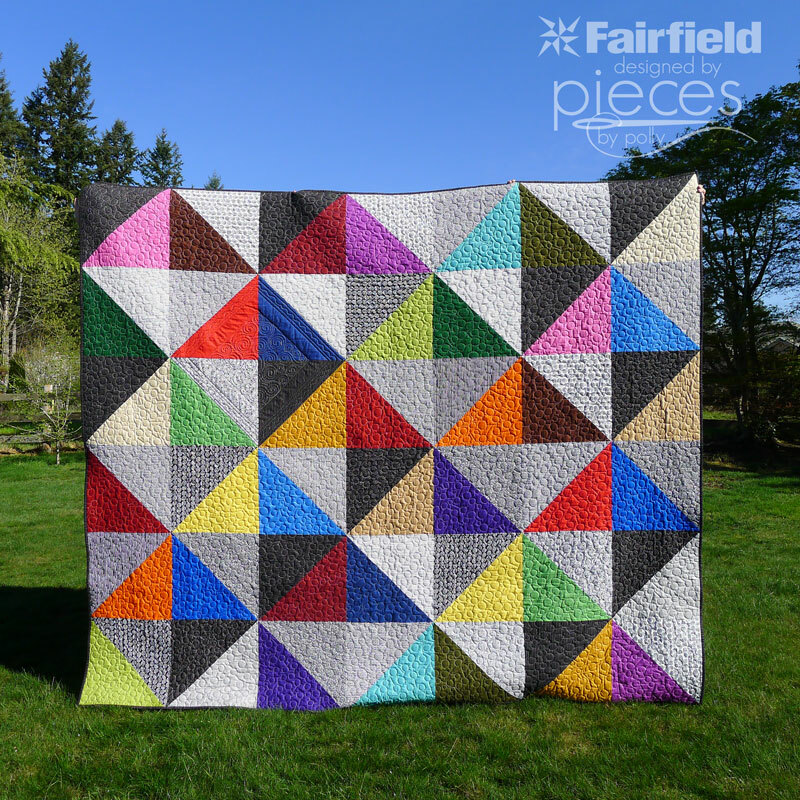 Follow directions in original tutorial for sewing the Half-Square Triangle Blocks and finishing your quilt. I can't tell you how many times I have looked at this post. I love this quilt and finally ordered a pack of 10" Urban Scandinavian squares and a pack of 10" Burlap Brights from Missoury Star Quilt Company. I realize the look will be much different with 10" squares as my starting place for half-square triangles, but I recently designed a half-square triangles quilt with 6.5" squares and it has a great deal of "movement" when you turn your head sideways, etc. 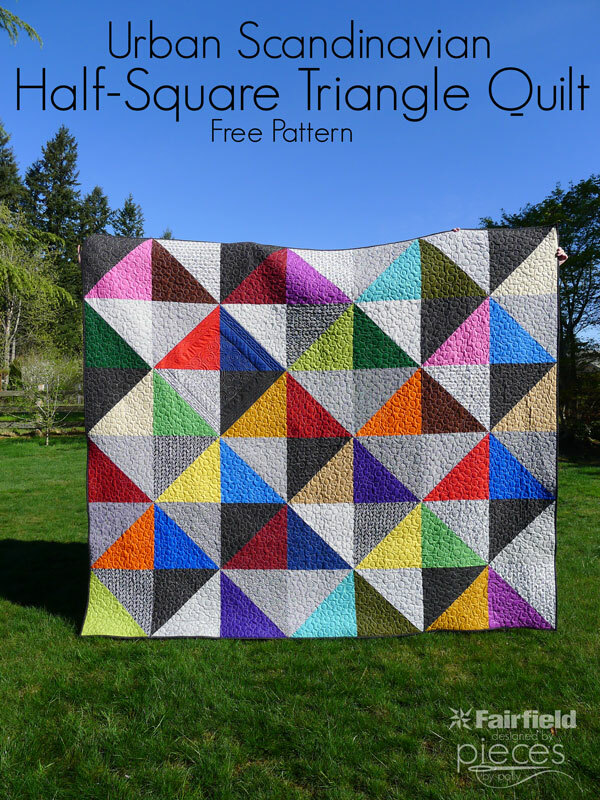 ANYWAY, I do love half-square triangles and thank you for posting this and allowing me to find this lovely pattern! Oh, I'm so glad you like this quilt. I hope you'll share your Urban Scandinavian Project with us when you have it finished.